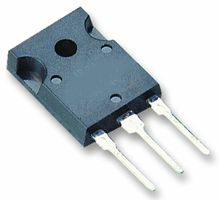 Features: D Dual Rectifier Construction, Positive Center Tap D Low Forward Voltage, High Current Capability D Low Thermal Resistance D Low Power Loss Maximum Ratings and Electrical Characteristics: (TA = +25°C unless otherwise specified) Maximum Repetitive Peak Reverse Voltage, VRRM NTE6251 . . . . . . . . . . . . . . . . . . . . . . . . . . . . . . . . . . . . . . . . . . . . . . . . . . . . . . . . . . . . . . . . . . . 200V NTE6252 . . . . . . . . . . . . . . . . . . . . . . . . . . . . . . . . . . . . . . . . . . . . . . . . . . . . . . . . . . . . . . . . . . . 600V Maximum RMS Voltage, VRMS NTE6251 . . . . . . . . . . . . . . . . . . . . . . . . . . . . . . . . . . . . . . . . . . . . . . . . . . . . . . . . . . . . . . . . . . . 140V NTE6252 . . . . . . . . . . . . . . . . . . . . . . . . . . . . . . . . . . . . . . . . . . . . . . . . . . . . . . . . . . . . . . . . . . . 420V Maximum DC Blocking Voltage, VDC NTE6251 . .